Synopsis: We follow Steve Jobs from the enthusiasm and self-discovery of his youth through his darkest days, brightest triumphs, and the ultimate power of his drive, his passions, and his undying will to change everything we thought possible. Dark, honest, and uncompromising, “Jobs” plunges into the depths of Steve Jobs’ character, uncovering his driving motivations, his gifts, his flaws, his failures, and his ultimate successes. Verdict: One of the most innovative man portrayed in a relatively un-innovative film. They could’ve “made Apple cool again” with jOBS but instead, they’ve made biographical dramas uncool again; all thanks to its poorly written cheesy 80s-TV-drama-like script and cowardly unambitious approach. Emotionally engaging performance by Ashton Kutcher as the great late Apple co-founder and CEO, particularly in the important events of the man that are enjoyable to watch but only the ones involving Apple managed to make it to this movie. Pixar, collaboration & rivalry with Bill Gates, reconciliation with his daughter Lisa, etc. – all that are skipped here. The film just flips through points of the man’s life without continuity or any real development on the story. Fortunately, there’s already a better film made about Steve Jobs AND Bill Gates – Pirates of Silicon Valley – released 14 years ago straight to TV. It’s more engaging and if Jobs really hated that one like he said, just imagine if he’s still alive today. Ashton Kutcher vs. Noah Wyle as Steve Jobs: Kutcher’s performance in jOBS is actually okay but Wyle’s in Pirates of Silicon Valley was simply too difficult to top. 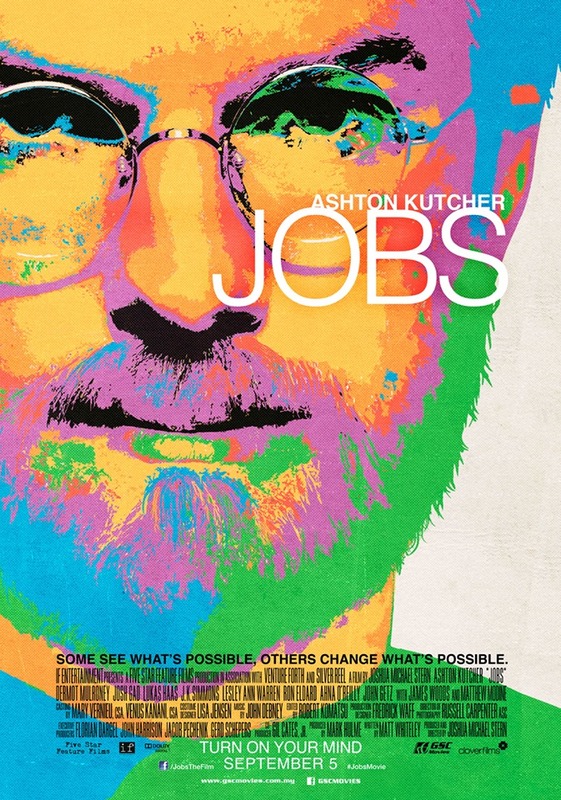 Kutcher’s acting as Jobs does look a little unnatural whereas Wyle’s face and body size and shape just resembled the younger Jobs more and his powerful performance was backed with a truthful, well-written screenplay that jOBS lacked of. Malaysian censorship: Foul languages are muted. Nothing else to censor.